WORLDS MOST DANGEROUS DRUG GANGS: Miguel Angel Trevino Morales new leader is emerging at the head of one of Mexico's most feared drug cartels. You are here: Home » Miguel Angel Trevino Morales new leader is emerging at the head of one of Mexico's most feared drug cartels. » Miguel Angel Trevino Morales new leader is emerging at the head of one of Mexico's most feared drug cartels. Miguel Angel Trevino Morales new leader is emerging at the head of one of Mexico's most feared drug cartels. Mexico's Violent Zetas Cartel Sees New Leader Miguel Angel Trevino Morales A split in the leadership of Mexico's violent Zetas cartel has led to the rise of Miguel Angel Trevino Morales, a man so feared that one rival has called for a grand alliance to confront a gang chief blamed for a new round of bloodshed in the country's once relatively tranquil central states. 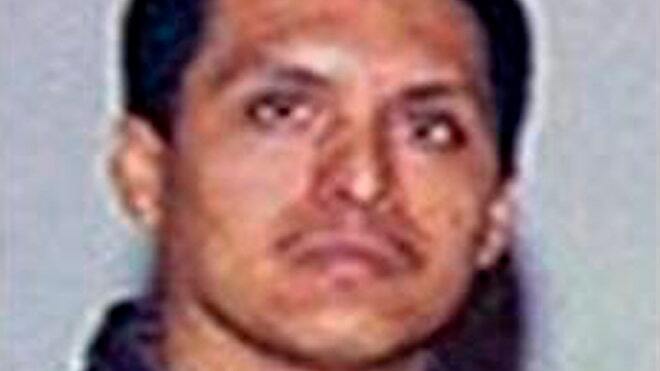 Trevino, a former cartel enforcer who apparently has seized leadership of the gang from Zetas founder Heriberto Lazcano Lazcano, is described by lawmen and competing drug capos as a brutal assassin who favors getting rid of foes by stuffing them into oil drums, dousing them with gasoline and setting them on fire, a practice known as a "guiso," or "cook-out". Law enforcement officials confirm that Trevino appears to have taken effective control of the Zetas, the hemisphere's most violent criminal organization, which has been blamed for a large share of the tens of thousands of deaths in Mexico's war on drugs, though other gangs too have repeatedly committed mass slayings. "There was a lot of talk that he was pushing really hard on Lazcano Lazcano and was basically taking over the Zetas, because he had the personality, he was the guy who was out there basically fighting in the streets with the troops," said Jere Miles, a Zetas expert and U.S. Immigration and Customs Enforcement special agent who was posted in Mexico until last year. "Lazcano Lazcano, at the beginning he was kind of happy just to sit back and let Trevino do this, but I don't think he understood how that works in the criminal underworld," Miles said. "When you allow someone to take that much power, and get out in front like that, pretty soon the people start paying loyalty to him and they quit paying to Lazcano." The rise has so alarmed at least one gang chieftain that he has called for gangs, drug cartels, civic groups and even the government to form a united front to fight Trevino Morales, known as "Z-40," whom he blamed for most of Mexico's violence. "Let's unite and form a common front against the Zetas, and particularly against Z-40, Miguel Angel Trevino Morales, because this person with his unbridled ambition has caused so much terror and confusion in our country," said a man identified as Servando Gomez, leader of the Knights Templar cartel, in a viedo posted Tuesday on the internet. "He is the main cause of everything that is happening in Mexico, the robberies, kidnappings, extortion," Gomez is heard saying on the tape. "We are inviting all the groups ... everyone to form a common front to attack Z-40 and put an end to him." Trevino Morales has a fearsome reputation. "If you get called to a meeting with him, you're not going to come out of that meeting," said a U.S. law-enforcement official in Mexico City, who spoke on condition of anonymity because of the sensitivity of the topic. In two years since Zetas split with their former allies in the Gulf cartel — a split in which Trevino reported played a central role — the gang has become one of Mexico's two main cartels, and is battling the rival Sinaloa cartel. Now the Zetas' internal disputes have added to the violence of the conflict between gangs. Internal feuds spilled out into pitched battles in the normally quiet north-central state of San Luis Potosi in mid-August, when police found a van stuffed with 14 executed bodies. San Luis Potosi state Attorney General Miguel Angel Garcia Covarrubias told local media that a 15th man who apparently survived the massacre told investigators that both the killers and the victims were Zetas. "It was a rivalry with the same organized crime group," Garcia Covarrubias said. The leadership dispute also may have opened the door to lesser regional figures in the Zetas gang to step forward and rebel, analysts and officials said. Analysts say that a local Zetas leader in the neighboring state of Zacatecas, Ivan Velazquez Caballero, "The Taliban," was apparently trying to challenge Trevino Morales' leadership grab, and that the 14 bullet-ridden bodies left in the van were The Taliban's men, left there as a visible warning by Trevino Morales' underlings. The Taliban's territory, Zacatecas, appears to have been a hot spot in Trevino's dispute with Lazcano. It was in Zacatecas that a professionally printed banner was hung in a city park, accusing Lazcano of betraying fellow Zetas and turning them in to the police. Trevino began his career as a teenage gofer for the Los Tejas gang, which controlled most crime in his hometown of Nuevo Laredo, across the border from the city of Laredo, Texas, officials say. Around 2005, Trevino Morales was promoted to boss of the Nuevo Laredo territory, or "plaza" and given responsibility for fighting off the Sinaloa cartel's attempt to seize control of its drug-smuggling routes. He orchestrated a series of killings on the U.S. side of the border, several by a group of young U.S. citizens who gunned down their victims on the streets of the American city. American officials believe the hit men also carried out an unknown number of killings on the Mexican side of the border, the U.S. official said. Trevino Morales is on Mexico's most-wanted list, with a reward of 30 million pesos ($2.28 million) offered for information leading to his capture. Raul Benitez, a security expert at Mexico's National Autonomous University, said that the Zetas are inherently an unstable cartel with an already huge capacity for violence, and the possibility of more if they begin fighting internal disputes. "I think the Zetas are having problems, and there is no central command," he said. The Zetas have been steadily expanding their influence and reaching into Central America in recent years, constructing a route for trafficking drugs that offloads Colombian cocaine in Honduras, ships it overland along Mexico's Gulf Coast and runs into over the border through Trevino Morales' old stomping grounds. Samuel Logan, managing director of the security analysis firm Southern Pulse, notes that "personality-wise they (Trevino Morales and Lazcano) couldn't be more different," and believes the two may want to take the cartel in different directions. The stakes in who wins the dispute could be large for Mexico; Lazcano is believed to be more steady, more of a survivor who might have an interest in preserving the cartel as a stable organization. "Lazcano may be someone who would take the Zetas in a direction where they'd become less of a thorn in the side for the new political administration," Logan said in reference to Enrique Pena Nieto, who is expected to take office as president on Dec. 1. "In contrast, Trevino is someone who wants to fight the fight." Referring to Ignacio "Nacho" Coronel, a member of the rival Sinaloa Cartel who died in a shootout with soldiers in July 2010, Logan noted, "Trevino is someone who is going to want to go out, like Nacho Coronel went out, with his guns blazing." Ian Donaldson wanted in Spain for drug smuggling has been arrested in Scotland. TWO men who have been arrested by detectives investigating the murder of crime boss Eamon 'The Don' Dunne are senior lieutenants of crime lord Christy Kinahan.